Blackout is the battle royale mode of Call of Duty series newest edition “Black Ops 4”. If you are a fan of PUBG, Fortnite or H1Z1 and want to exercise your skills in a new game; try Blackout. Though there are few things that new Blackout players must be aware of. If you want to be victorious in this famous game, keep reading the article. We will give you some interesting tips, using which can bring you closer to the 1st position. Every battle royale game stands on the concept of looting items and weapons around the map. Your player is deployed bare handed but you can find tons of firearms and ammunition at points of interest. Even a small garage will have at least a couple of med-kits for your inventory. Try to search every building and every container that may come in your way. You may get valuable gear from the very first building you search or even the drop out point. But it never hurts to keep looking for better and better. A level 2 or level 3 armor will be definitely better than level 1. Similarly, as you keep on searching, you can find weapons closer to your preference. Another good thing about looting is that it leaves little for players that are coming behind you. They will be at a certain disadvantage if engaged. It might not seem very important to close the door behind you after you enter in a building but believe me it is. There are going to be a lot of snipers roaming in open fields of the map. Most of them will have way greater experience than you in the game and they will take a closer look through sniper rifle from a far. If you break into a house through the window or leave the door open, you are signaling them your presence. And you know what is going to happen next? A cluster grenade or Molotov will be thrown from the window and your game will end quickly. Given away your position by breaking a window or leaving the door open seems pretty stupid now right! Not only it hides your movement, it also gives you time to prepare for the coming players. You will be able to hear them opening the door even if they are using silence perks for suppressed movement. Possibly the most important thing in any battle royale game. Always keep an eye on the circle. If you don’t have the slightest idea what the circle is, don’t worry. Battle royale mode is assembled in huge maps. To keep the combat short and interesting, a circle is shown on the map that depict the place to be. If you are outside that circle, you will lose health rapidly. In Blackout, circle starts to shrink 2 mins in to deployment. You are shown the position of contracted circle in white and the blue circle represents the hot zone. Try to stay inside the blue circle at all cost. Players can stay at the edges of the circle towards the endgame as new players most frequently try to stay in center of the white circle. Still at the beginning don’t slip out, otherwise your match would end before beginning properly. Also try to keep an eye on the circle boundary while it is shrinking. You can find a couple of players trying to get inside the white zone. They can be easily hunted through assault rifles or sniper rifles. Again, don’t give away your position. If you are not confident enough, don’t shoot. You will find plenty of other chances. Battle royale game circles around players count. Your chances of victory gradually increase with every passing minute. And to ensure your location stays hidden from enemy players, try to stay quiet. In the big map of blackout, every player tries to move on towards the center of the shrinking circle. And you can encounter with any of them anytime. Your movement can be a big disadvantage in the game because in Blackout, you can hear players running or gunshots from a far. Another good practice would be to use headphones. They will not only help you in keeping your movement at perfect pace but will also signal the nearby enemy position through amplified audio. Blackout gives a unique option of auto attachment for weapons. If you find any suitable attachment for any weapon, it automatically fits on. It is a good improvement in battle royale but the issue begins when you gather up different kinds of scopes and attachment that you don’t have need for. You might find interesting items and ammunition that will be good enough to hold on but extra scopes are not one of them. Try to clear your inventory whenever you get the time. Just stop anywhere for a min and drop all useless items in your inventory. Moving fast around the map in Blackout will help you stay in the match. Vehicles come handy in this regard especially when circle starts to shrink. New players often use vehicles to get away from hot zones. Some pro-players use military trucks to stock in loot items. But that is only a good strategy if you are playing with a full squad. Because in solo mode, by doing this you won’t only be drawing attention to yourself but will also find it difficult to steal so much extra loot. Vehicles do possess some disadvantages like making loud sounds especially when you fly a chopper high in the sky, players can easily shoot you. There are a number of perks available in Blackout mode and they can be found easily especially in the small houses or tall buildings. These perks can grant you a certain advantage over enemies like hearing the footsteps louder or providing extra breath for under-water swimming. But you must know the technique of using them at the right moment. What many players do is that they instantly use these perks after finding them. That may be a good option when you are running from a hot zone or trapped inside a building but the best time to use these perks is around the end game. Zombies: Encountering zombies in Blackout mode can be very irritating. Normally zombies roam around the places where mystery box appears. Killing them won’t be a good idea because they’ll just respawn and in more count. Even if you want to kill one or two zombies, use the throwing axe. It can easily be found near mystery box locations. Using bullets on zombies can alert nearby enemies and your position can be compromised. But if you find yourself trapped between a horde of zombies, don’t hesitate and smoke them out with a Light machine Gun. 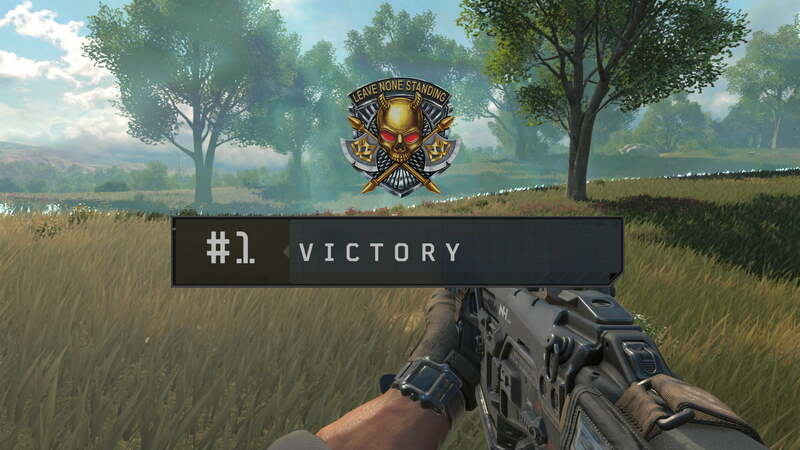 Next time when you play Blackout mode, practice these trips and remember it is all about enjoying the game. If you just keep camping all the game and die in the end, it would not be fun now would it.